Expect things to happen here really soon! I’ve got the figures for a dwarven army and some halfling allies. I’ve already painted a few of them as SBH figures. Now it’s time to turn them in to an army. For now they have some eagles and centaurs as potential allies. The eagle that is higher could be the commander if these were treated as an independent ally in a campaign. 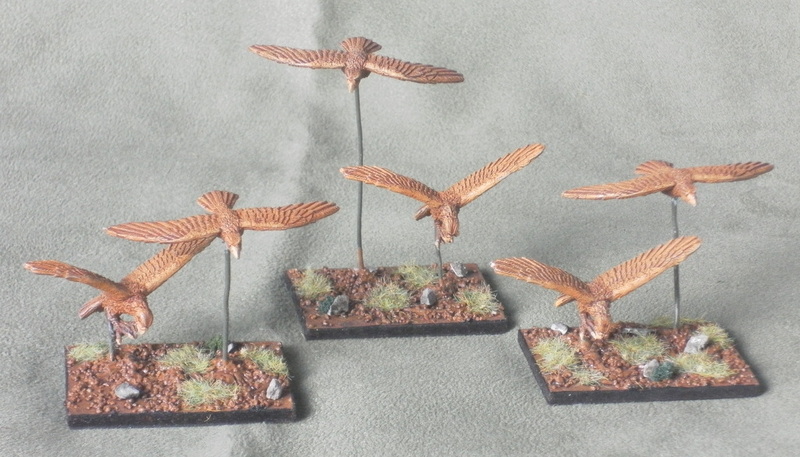 Eagles share the same mountainous habitat as dwarves and may see a common interest in helping each other. Centaurs might not have much in common with dwarves in terms of habitat; you might think they would get on better with elves, but I think they would find kindred spirits in dwarves in terms of their love of alcohol. I think they’d also be fond of the any gifts of gold and silver vessels that the dwarves might give them. 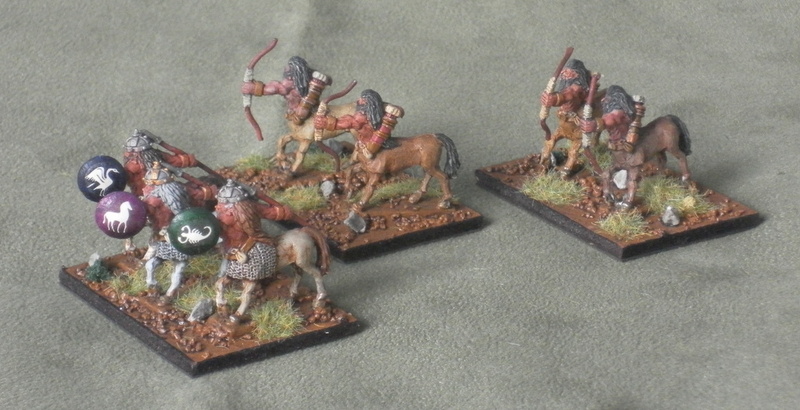 Centaur leader and two more elements of Riders.